Glisan Buds is big on specials. 7201 NE Glisan St., Suite D, 503-946-6415, glisanbuds.com. 8 am-10 pm daily. Glisan Buds is big on specials. If you visit Glisan Buds on a Friday, with any purchase you can get a $1 joint. The dispensary announces this enthusiastically on Facebook with: "DOLLA DOLLA JOINT YA'LL #TGIF." Glisan's got around 15 strains for $14 per gram recreational, but also a massive selection of yummy edibles, including brownies, cookie bites, syrup, chocolate bars, hard candies and five different cookie flavors from Fully Baked. 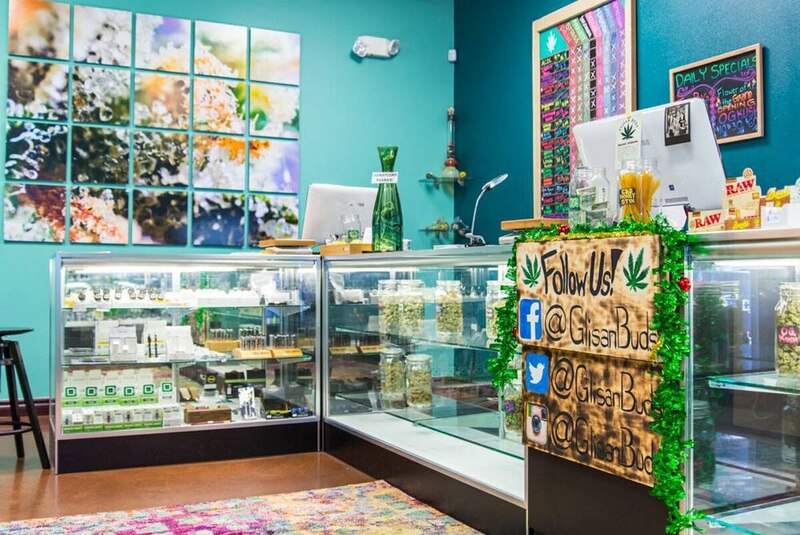 Other daily offers include Share Your Saturdays, where you bring a friend who hasn't been in before and get 15 percent off your purchase, and CBD Sunday, when you get 15 percent off all CBD products. An added bonus if you follow the local comedy scene: Stand-up comic Anthony Lopez is a budtender here. YOS SHALLMAN.